Stand up and make a difference by hosting a blood drive and changing the lives of patients in our community. Chairing a blood drive is rewarding, fulfilling and exhilarating and we will help you on your journey. Hosting a drive is easy and accomplished in just a few steps. Build a team of volunteers to help recruit donors, ensure required sign ups and assist on drive day. Spread the word. Group meetings, e-mail, text, social media, posters all help create a positive buzz. Have a successful blood drive! Say thank you to your donors. 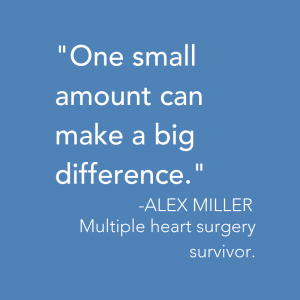 The more successful your drive is, the more patients’ lives you’ll help save here at home. We’re partners every step of the way. We work with you to confirm a time, date and location, schedule staffing, create and print inviting collateral materials, and pinpoint internal recruitment efforts to help ensure that YOUR drive is a success. We will even bring the snacks! There is no cost to you to host a drive. Reap the rewards of saving lives in your community. Your role is vital. As a chairperson, you’re an activist for life and your role is vital to our community. Work together. Experience a sense of camaraderie and team-building among your group or associates. Volunteerism. Blood drives promote volunteerism and giving back within your organization. Community partner. Hosting a blood drive gives you organization a favorable image as a partner in community wellness. Tradition. Conduct multiple LifeStream drives annually, and your group will regularly assist every day and emergency needs for blood. Loyalty Points. We know you have a lot of other things you could do with your time and so to show you how much we appreciate your time and efforts, we created the Online Blood Drive Chair Loyalty Store packed with great prizes. Contact us today and start making a difference! Already a blood drive coordinator?